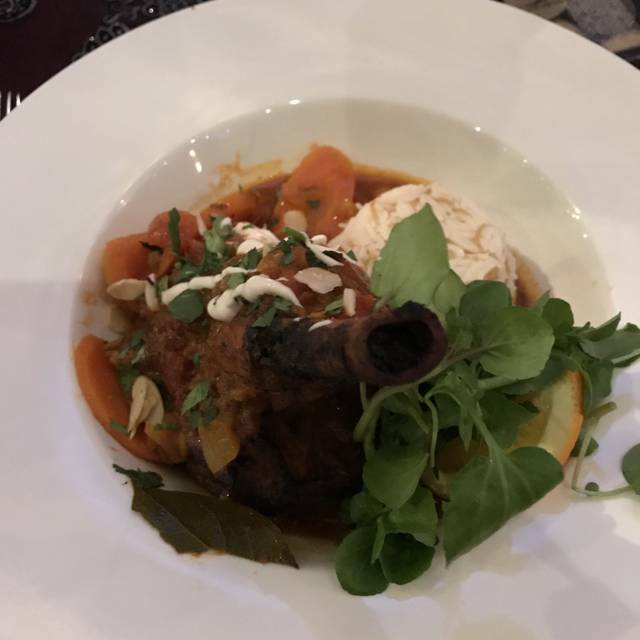 We take inspiration from pretty much anywhere we can find it from the Arabian peninsula, but with a bias towards the ingredients and flavours of the Middle East, North Africa and across the Ottoman. Whilst our cuisine stays true to the food from these regions, we also pull from more familiar Western cooking techniques in the execution of what we do in true Lebanese style. upon arrival, our team will serve you a freshly dressed platter of assorted vegetable pickles to open up your palate… and we recommend that you start with some bites and dips to whet your appetite while we prepare your food! 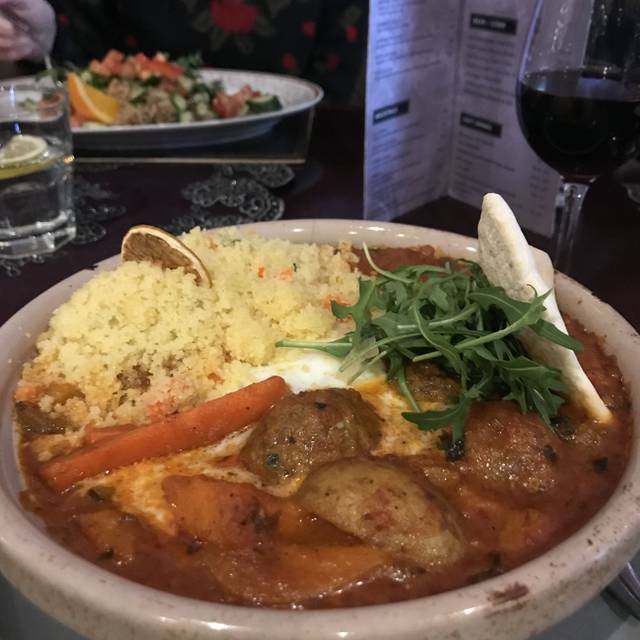 Mezze is the best part of the middle eastern dining experience - our sharing mezze offers a delicious variety of dishes - the best way to eat and appreciate real lebanese food! Lovely food, staff,ambiance! What more do you need. Went on a Thursday evening with a good friend and we had a super time. The menu was delicious, and the service excellent. We chose from the a la carte menu but the staff very kindly offered to do a mixture of anything we wanted. They also offered us a choice of a set menu - which was very reasonably priced. Excellent lunchtime meal that was probably the best Lebanese food we have had. Service is very good with good advice on plate selection and amount ordered. First time here as I was going to the nearby theatre and will definitely be back. The food is lovely, great value & friendly service. Lovely food, really helpful staff. My husband forgot his glasses, when I mentioned this, they produced a couple of pairs he could use, Brilliant. Would definitely go agin when in Salisbury and would recommend. Restaurant was quiet, which as nice. Food nicely prepared and interesting and arrived quickly. Waiting staff very nice too talk to. Overall a really nice lunch and we'll be going back. We had a lovely early evening meal here, which was excellent value for money. The staff were really friendly and very efficient and recommended some delicious and interesting Lebanese wines. Excellent service and food. We had a sharing platter for lunch and tried Turkish coffee for the first time. Will definitely teturn. Absolutely LOVELY place - such friendly and quick service and attention to detail without being in your face...totally recommend 200%!! Only draw back - ridiculous music...sorry! All you could hear was the boom boom of the base. So unnecessary and had it been authentic music it would have worked so much better, provided not so loud! You come to a restaurant to chat and raised voices just bring up the volume and noise....BUT don't let that put you off. The place is a treasure. Lucky Salisbury!! Four of us went before a show at the Salisbury Playhouse. Fantastic food and atmosphere. Very quick service, they ensured we were out with in the hour in time for our show. Fantastic food! It was very busy so service for our drinks was a bit slow. Our table had a draught coming from the brick wall behind us, the was difficult to for us and the staff to explain. They offered to move us to another table, but we fixed it by putting one of the menus by the wall to redirect the draught! The staff are lovely and the restaurant very atmospheric. Excellent food and service would highly recommend this restaurant. Pre pantomime meal for 7 aged 2 to 67. Delicious food - really enjoyed mixed mezzes, both hot & cold. Large servings - choose early evening menu (2 courses for £10 if you're not hugely hungry). Very attentive service, characterful decorations, authentic tastes! Excellent restaurant all round. Food is sublime, service exceptional and lovely surroundings. Prices reasonable considering quality of dishes. Wide and varied menu too with plenty of vegetarian options as well. I had a wonderful birthday celebration with friends at Baroushka. The service and food couldn't have been better and the little birthday extras made it even more special. Many thanks! Lovely as always. Gorgeous decor, superlative service, amazingly tasty food. Another fantastic meal! Great starters and main course too with large servings. Always good, attentive service. Good food, but setting and atmosphere more for a romantic dinner for couples. We had a few minor issues as we went for dinner with visiting elderly family and my 20 month old. I booked a table for 6 through here on a weekday, requesting a highchair as well. Got there as scheduled, the staff clearly didn't know of my booking, and didn't offer a highchair, I had to request it after being seated for 15 mins. They have not got baby changing facilities, but staff were happy for us to change on the sofa. The dim light in the restaurant meant my elderly relatives had to use torches on their phones to read the menu. Though we had a shaky start, we were very satisfied with the food served. We ordered a hot mezze and a Cauliflower Sharawma as starters which tasted amazing. Between us we had lamb shank, chicken kebab, sausage platter, stuffed aubergine with quorn, which all tasted fantastic. I had the aubergine, which I would have liked it to be baked for even longer and softer, but overall I am quite happy with it. We only ordered two desserts, the rose and pistachio cheesecake is to die for in our opinion, and the dessert platter is worth a try if you like to explore different flavours. Excellent food, reasonably priced. Superb service. Very busy on a Saturday night, be sure to book. Was very busy, but to be expected on a Saturday night. Service was excellent. Food was mediocre. The kibbe starter was very cold in the middle. The tagine was very greasy. From the second the door opened into the restaurant, we were made to feel welcome. Three of us dined, all sampling differing starters, mains and deserts- plus a rather good bottle of wine. Our dishes we all beautiful presented and in good portions - our compliments to the chef. At all times our host was attentive, but without being overly fussy around us. All in all a wonderful meal, excellent value for money too. Delicious food and great service. Despite their being a large party in, the noise and music wasn't overwhelming and we didn't wait long for food, which is hard to achieve. We opted for the lonely meze so we could try lots of different dishes and they were all yummy. Really good choice of mocktails – it's hard to find something that's not too sugary but tastes good when you don't drink alcohol. Lovely authentic tea experience too, loved the traditional pot and glasses. A great dining experience. An excellent menu and the food is very well-presented and delicious. Very attentive staff. This is a great restaurant and we'll be back! Very good food and service. Delicious flavours. Very big portions which limited the number of courses that we ate. 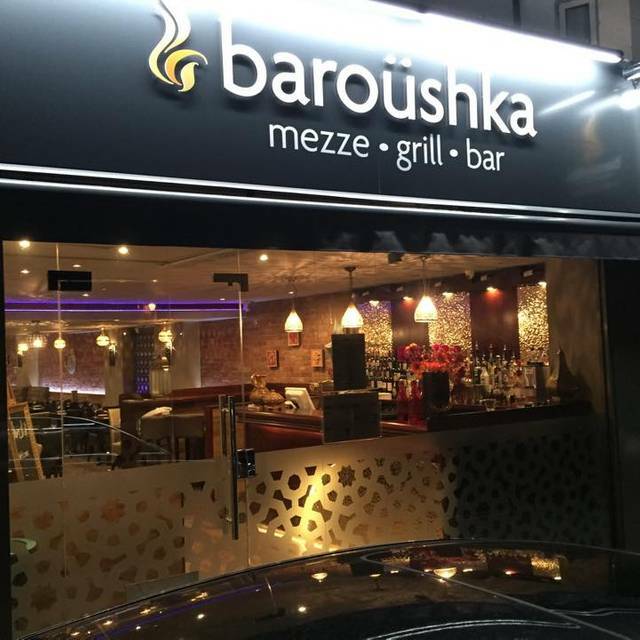 A really enjoyable meal - the waiting staff introduced us well to the lebanese/turkish cuisine, the service was fantastic, the food was plentiful and delicious and we would very happily go again. Very interesting menu. Great flavours. Pleasant service. Had a wonderful, authentic 3 course Mediterranean meal here, with a drink and a coffee. The service was sharp, the food plenty and tasty, the restaurant, though busy, was relaxed and the ambiance was fine. Could even hear to have a conversation. Staff was friendly and the restaurant was very clean. Extremely attentive service, good surroundings and lovely food. Thoroughly recommended as one of the top reasonably priced places to eat in Salisbury. An absolutely fantastic meal great atmosphere great service and not to pricey would recommend to everyone to try this restaurant great evening all round. Very good lunch time meal. Food excellent and service very good. Would highly recommend. Great dinner in a relaxed and very nice athmosphere. All our food choosen was excellent because of fresh ingredients and a delicious exotic taste. The presentation was well done. Service is outstanding good. This restaurant van be highly recommended. Nice restaurant, good food at reasonable prices. We had a lovely meal that all enjoyed, thank you. A very pleasant evening.